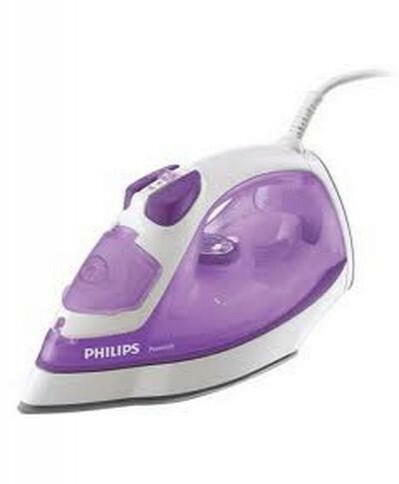 The Philips Powerlife GC2930/02 Steam Iron offers 2200 W of power provides constant high temperatures and steam output. Featuring 35g/min of continuous steam output, and up to 110g/min steam shot, the Powerlife GC2930/02 Steam Iron works on even the stubborn of creases. The Double Active Anti-Calc system means you can rest assured that this is a long-lasting, durable device, preventing limescale buildup that can quickly sap performance and wreck irons. The SteamGlide Ceramic soleplate makes sure that this device will easily glide across your clothes, making ironing a breeze, while the spray feature is also there for extra difficult items.